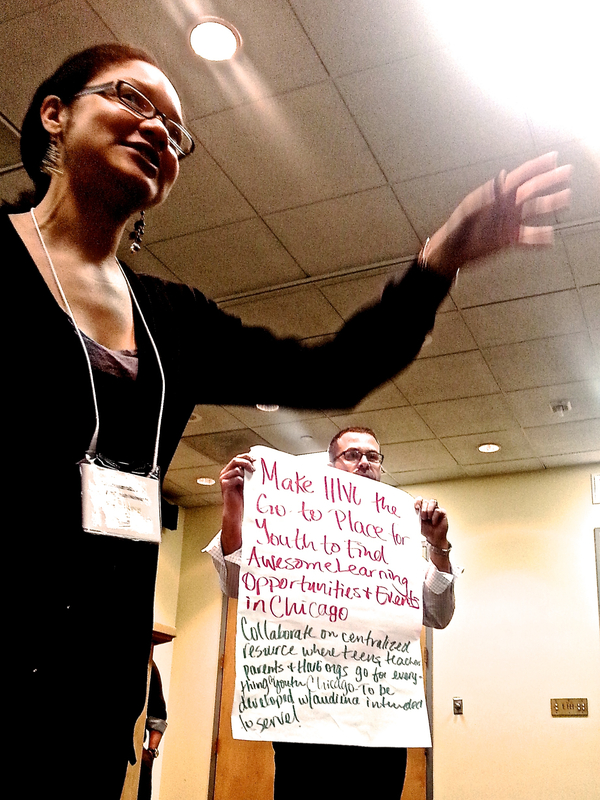 This post is the first in a series of narratives for Hive Chicago Moonshot Working Groups: teams of community members collaborating to produce solutions that will address the persistent challenges facing our network and it’s shared goals in realizing a connected learning ecosystem for all Chicago youth. It is not new news that Chicago is chock full of great places and spaces for its youth to take part in just about anything they may be interested in, from sports to architecture to music production to nature and more. What Chicago also finds itself in abundance of is the widespread passion of united persons who grease their elbows day in and day out to create these opportunities, making what is available to Chicago youth as visible as possible. This, in itself, is no small feat. We as educators (in whatever form you choose to define educator) dedicate our waking and sleeping hours to creating even a small notion of a new or better perspective of what is possible for teens — how to unlock and wield the truest power of their potential. We see forward. We see the wide open field beyond the veil and strive to lead youth to these same expansive pastures of opportunity. However, it is no easy task and there are always too many teens not yet engaged in what is available to them. Anyone working with youth can often find him or herself lying awake at night trying to take on the beast of “How?” How do we reach more youth? How do we help them see that there are options? How do we get the parents involved? How do we get them to where they need to be to know that they are where they want to be? In our sweetest dreams, all young people are activated, excited, engaged, and involved to their hearts’ content. We spread our gospel and draw the crowds of students, parents, and anyone else who can benefit from what we know to be good and true of learning based on interest. The reality is that this is not entirely the case. We are never satisfied with what we’ve already done for so many youth because of the many more youth yet to be reached. Our efforts yield a visible testament to the groundbreaking, movement making, life-changing work being done to transform the lives of Chicago youth and the narrative of the city as a whole, but there is still much more work to be done. So, how do we answer the questions plaguing our sleepless nights? How can we strategically and creatively connect youth who possess an unrealized or practiced greatness to what they can become? How do we show them just how many opportunities are available and ready for them to take on, how close we are to their homes and schools? How can we make getting involved easier and more accessible? Our Hive Moonshot Group, “Onramps” has taken on the challenge of identifying potential solutions to these questions in a way the activates all stakeholders, including the youth themselves. 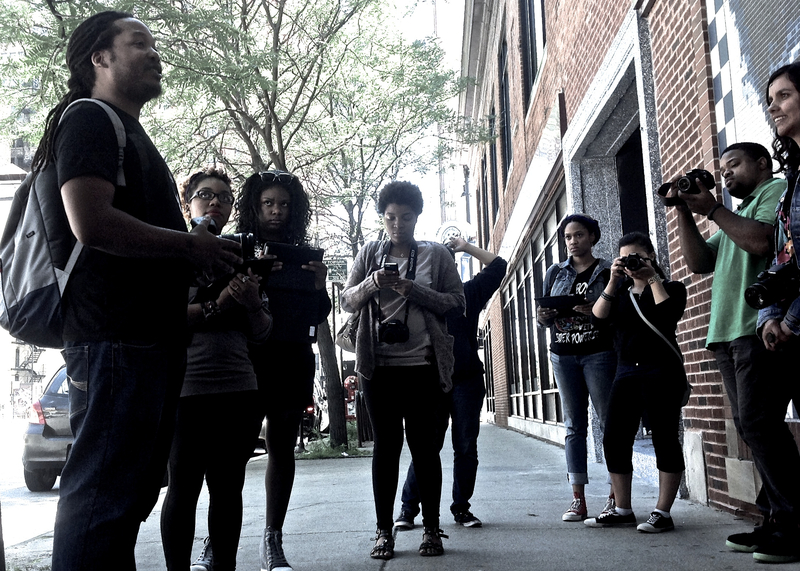 We believe mapping and maps themselves are essential to connecting youth to programs and events throughout the city. Many of us are participating in initiatives, like the Chicago City of Learning that are actively using maps to help make these connections. Our group seeks to take a deeper look at the variety mapping tools currently being used in various sectors to better understand the best methods of getting our awesome stuff in the face of teens. Where and how are youth learning about programs? How do social environments of youth, both online and physical, inform recruitment and marketing to teens? We want to assess the many factors at play in on-ramping teens into Hive programs. In our assessments -– alongside the Hive “Parent Engagement” Moonshot Group — we are considering parents and the places and spaces in which they learn of programs for their teens. We are taking into consideration the “groundswell” approach and how to localize the effort in neighborhoods by engaging different constituents of the community. We also want to give power to the teens through organic forms of sharing information with one another. So the answer does not lie in one of these concepts alone, but perhaps can begin to be surfaced through the simultaneous implementation of each and more. This is a big undertaking, but the beautiful part of what we have together as Hivers is that we –– as a collective –– don’t have to swallow the work whole. Here are a few ways our moonshot group believes we can begin to put a fork in it. As mentioned earlier, we want to know more about not only how teens learn about programs, but how they prefer to learn about programs. We want to know from teens what gets them excited and what turns them off completely. The best way to figure this out is just ask them. This is clearly not a new concept, but one that often never fails. Creating a short survey that asks very targeted questions around how to best advertise programs to teens will become a large portion of identifying effective outreach methods. The most important part of the success of this survey will be those nuanced questions that reveal more granular and often un-gleaned teen insights. Libraries. Parks. Churches. Schools. Each of these are powerful mechanisms for reaching our second most beloved target audience next to teens: parents. There’s power in a 3×5. Tangible, visual informational take-aways placed in places frequented by families reap magical outcomes. Magical. This begins with identifying the local library branch, the local park, and the neighborhood churches within any given neighborhood. From there the proximity of schools and other community organizations (Hive or non-Hive) can be mapped. This approach of starting where the people are versus where the programs are allows us to resource map connections and detailed information that not only provide insight into where or how to recruit, but better understand, collectively, the culture of the neighborhood, the community leaders, and how to activate the community as a whole. It takes a village, so village buy-in is also essential to teen activation. Let’s blow this Maker Party thing up! What would be better than creating a city-wide maker party where pop-ups pop up in different neighborhoods across the city on the SAME DAY?! We’re talking a learning takeover in the Chicago City of Learning. Once we have asset- and resource-mapped various neighborhoods, what each neighborhood has to offer its youth can be promoted through family-friendly events in multiple neighborhoods across the city that include not only Hive involvement, but community involvement, as well. Imagine the model of “learning anywhere anytime” having its stage set up in a format of learning everywhere at the same time. We can create excitement, curiosity, and most importantly, show that what is happening in one neighborhood can truly happen in all. So let’s blast, splatter, and flash mob Chicago Awesomeness! Through these steps we know we can begin to discover more ways to make pathways visible and ready for our Chicago youth to discover. Come on, fellow elbow greasers and sleeve rollers and let’s keep plugging it in.